I bet that is a title you were not expecting to see! ‘Gascon Afghani Boulanee’ ?? What devilish nonsense is she up to now on Delicieux you may ask? If you are a regular reader of my blog, there may be times when you think I have gone a little mad with my food. But I did not start out that way. When I started cooking, I was a rigid follower of recipes and it taught me a lot. But as the years have passed and my kitchen confidence has increased, I have found I have tendency to opt for unusual flavours, challenging ingredients and curious combinations . I also love a challenge so when I was asked by Betfair to come up with a dish inspired by one of the 14 nations in the Cricket World Cup, I jumped at it. Out of the 14 contenders, I chose Afghanistan on impulse and because I really know nothing about their cuisine. This was an opportunity to indulge my foodie curiosity and learn something new. So anyway, I started to browse recipes for traditional Afghani cuisine and found some really interesting sounding things. Lots of exotically named dishes with lots of spices, but the recipes still had a rustic honesty to them. And I love that style of cooking. 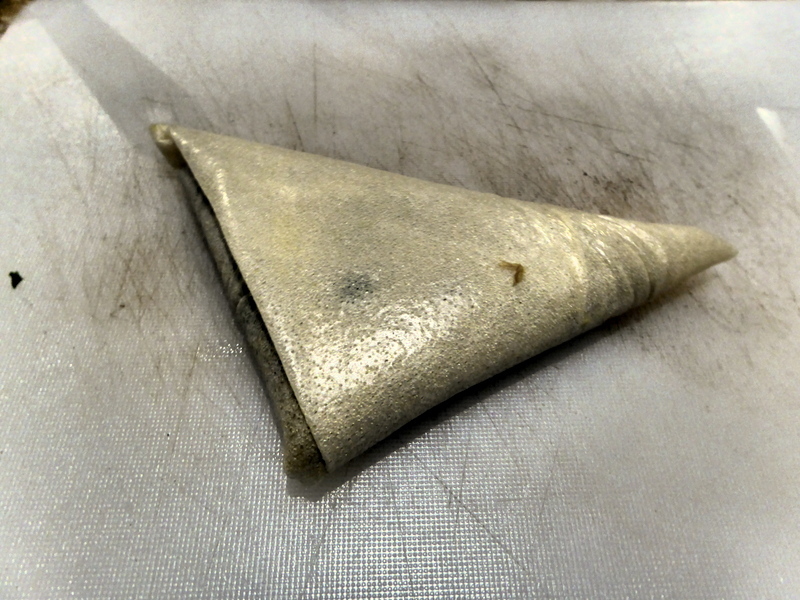 I found myself particularly drawn to Boulanee, a kind of cross between a samosa and a tortilla. Some recipes used a special dough, others used fried egg roll wraps; some contained beef, others were vegetarian; some were served with chutney, others with a yoghurt dip. It seemed to me that the traditional recipe was one that had been adapted over the years so everybody has their own way of doing it. Basically, the typical main ingredient for the filling is mashed potato which is spiced with ground coriander, tumeric and cayenne pepper. So, of course, I added some shredded duck confit meat. And instead of making a dough, I wrapped my mixture in Brick pastry which created a wonderfully crispy skin, stuffed with the super soft and spicy potatoes. I loved the idea of a yoghurt dip but the traditional Afghani version is flavoured with just garlic and lemon. I also threw in some extra cayenne pepper, cumin and a squeeze of honey which really worked with the duck. Honestly, they were delicious. 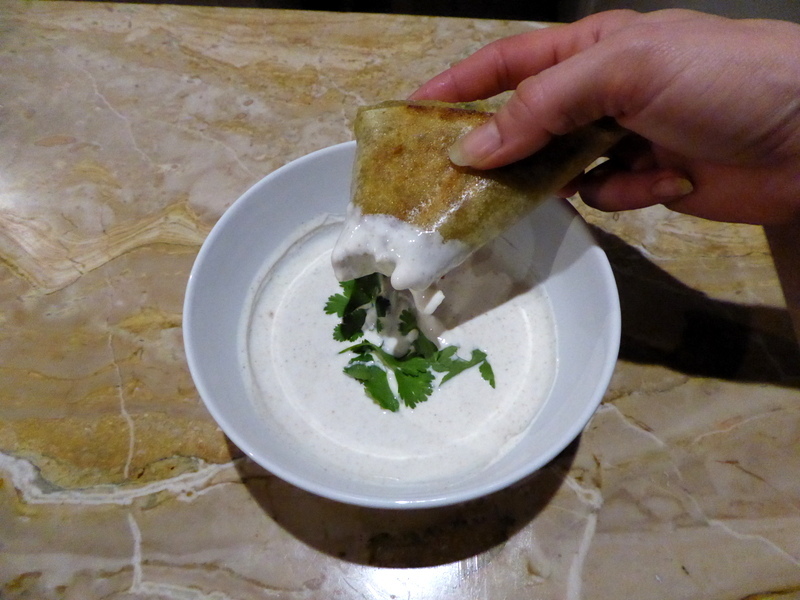 Aromatic with wonderful contrasting textures and fantastic when dunked into the silky yoghurt dip. This recipe is a keeper. This was a challenge from Betfair that I really enjoyed taking part in. It was liberating and inspiring to try to make something Afghani whilst finding a way to ‘French’ it up. I should do it more. Who knows what madness I have lurking inside!! It sure makes for interesting eating. Start by boiling your peeled potatoes in salted water for around 20 minutes until well cooked. Then mash them well (no lumps!!) with 1-2 tbsp of olive oil and some seasoning. Add your shallots, spices, fresh coriander and duck meat and mix well to combine. Then you need to make the boulanee. Take a sheet of brick pastry and part fold in the sides to create a straight(ish) length. Take heaped tablespoon of the potato mixture and shape it into a rough triangle. Place it at the bottom of the pastry. Fold the bottom edge to make a straight end. Then fold it all the way up to create a triangle. Chop off the last edge so it is straight. Brush the edge with oil to seal and place on an oiled baking tray. There are two ways to cook these. You can fry them in a pan with a good tablespoon of oil for around 5 minutes per side until golden. Or you can brush them with a little oil all over and bake them in the oven at 200C for 15 minutes, turn them and cook for another 10 minutes. The frying method makes them crispier but the oven method is also good. 4 Comments on "Gascon Afghani Boulanee with Silk Dip"
Oh boy, this looks good. 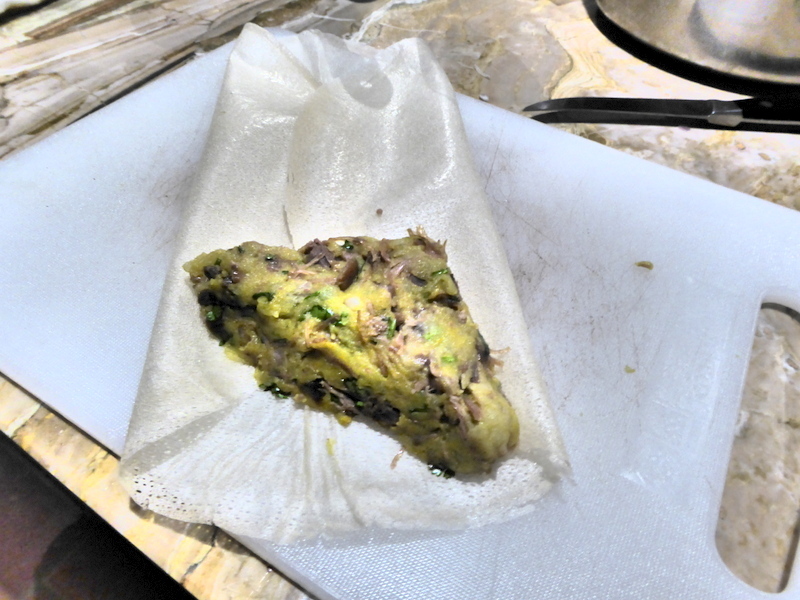 Plus, I’m just about to make a lamb recipe using Brik Pastry, so your recipe will come in handy! What a fabulous site you have! 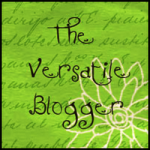 Hi Anneli- hope you can post some more delicious recipes soon!